My name is Sarah Fortner and I am a paralegal working with Attorney Peter Tripp on workers’ compensation and personal injury cases. I joined Lawrence & Associates in 2016 and work at our Ft. Mitchell office. My job duties include acting as a liaison between clients, insurance companies, and medical providers. 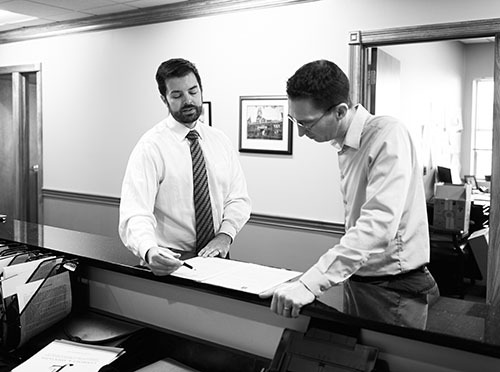 I enjoy helping our clients navigate their claims and the challenges of ensuring progress in their case. I also draft correspondence and legal documents for attorney review and schedule depositions and other client appointments. When I am not working at Lawrence & Associates, I enjoy reading books, running, and spending time with my friends and family, including my 2 children and our menagerie of pets. I look forward to helping you with your workers’ compensation or personal injury case.